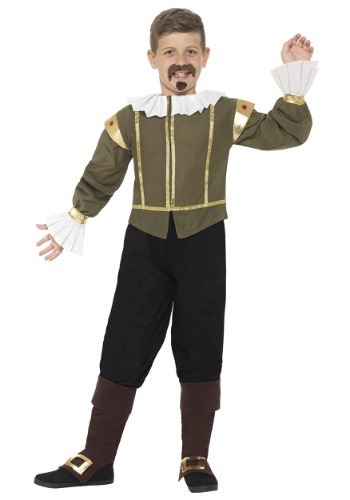 This Child Shakespeare Costumes brings you a look inspired by the famous poet! With the cuffs and collar seen in many of the portraits of the famous writer, the green tunic will have your child all garbed up in the look of a witty young playwright. Of course, your child might not be ready to grow the manly facial hair of the historical figure, so he may need a little help from one of your faux mustache kits, but this costume comes with everything else that you might need to whip your child into the perfect scribe.